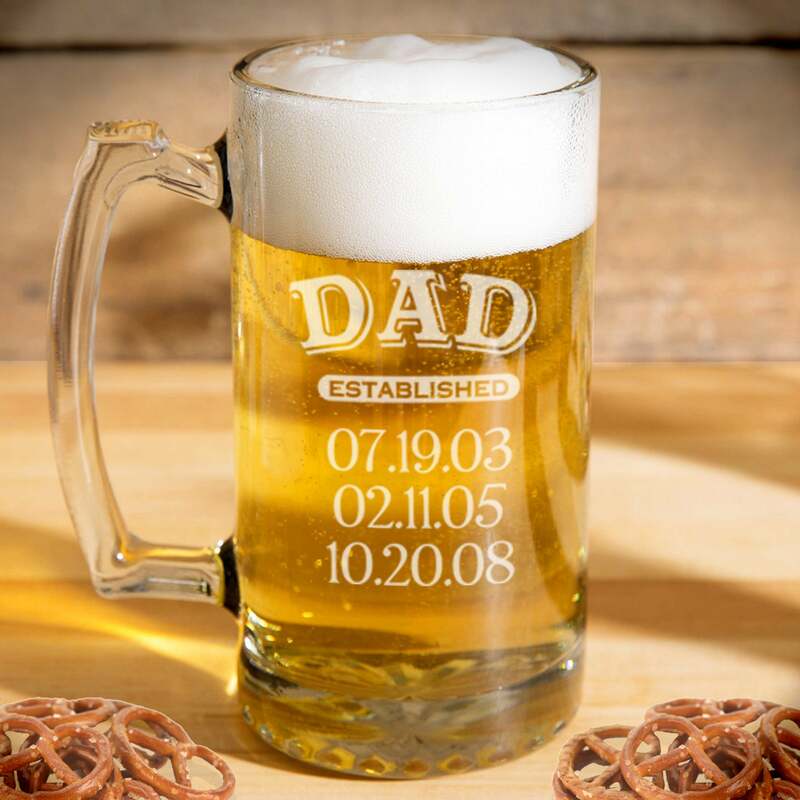 This listing is for ONE 25 oz beer mug, please choose quantity needed from the drop down menu. They are precisely laser engraved directly onto each 25 oz. glass mug creating a frosted look. Since this is engraved onto the item it will last a lifetime! Preference options will be for the hand you hold it in and the engraving will be facing forward. (if you would like a different preference for each mug you order leave a note at checkout).